Pale Bugloss is neither showy nor particularly distinctive, but it does have a stately posture and stands out starkly against a bright sky. The pyramidal shape of this plant makes it a very distinctive member of the Borage family (Boraginaceae), but its pale flowers are much less striking than those of other bugloss species. This wildlfower is easily identified simply by its shape. 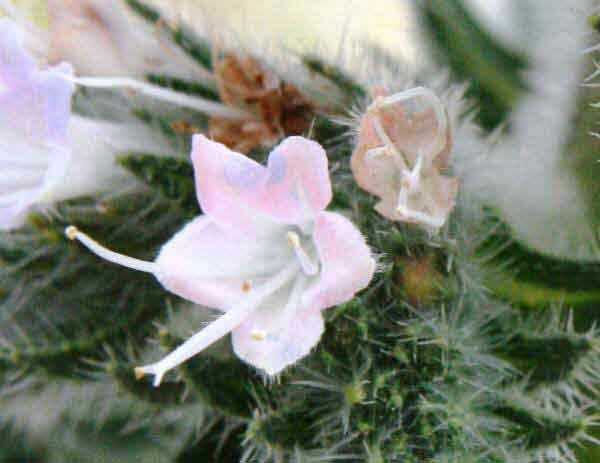 The flowers of Echium italicum are much paler than those of many other Bugloss species. 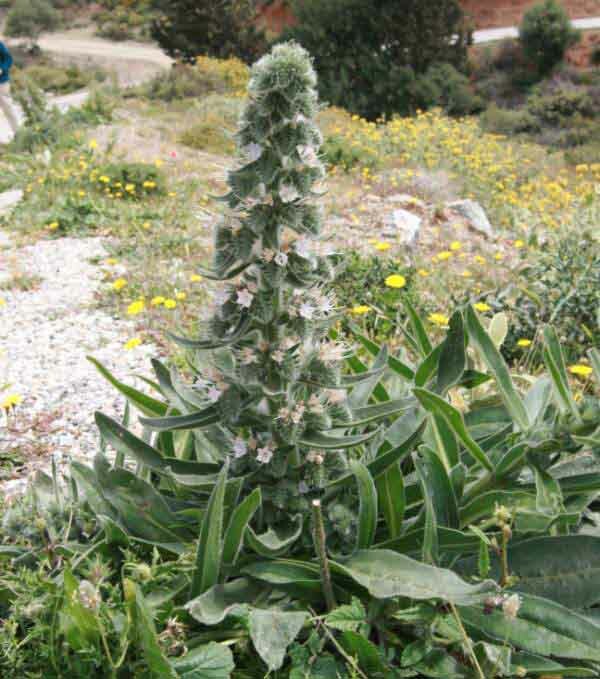 Pale Bugloss can grow up to a metre in height and is common throughout the Mediterranean region. 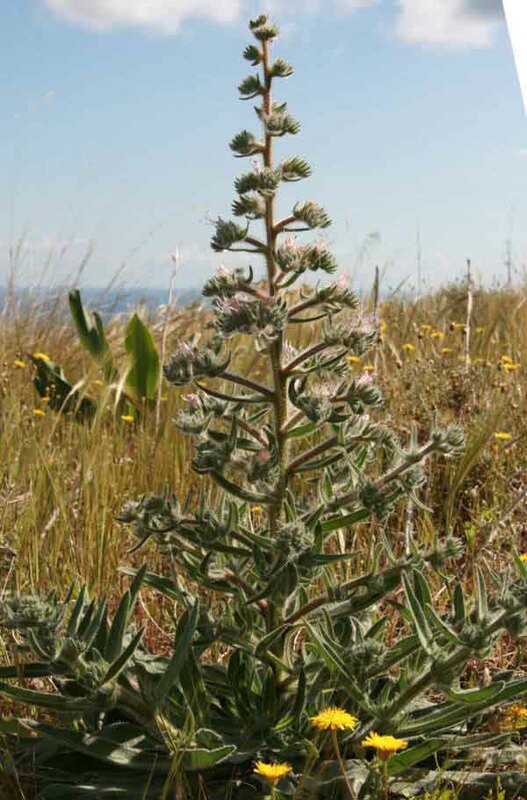 This plant is not at all fussy about its habitat, either, and can be found in rocky and grassy habitats alike, as well as in abandoned farmland, in pastures, on roadsides and on waste ground. This wildflower blooms from April through to the beginning of July, by which time most other Mediterranean wildflowers have died back.